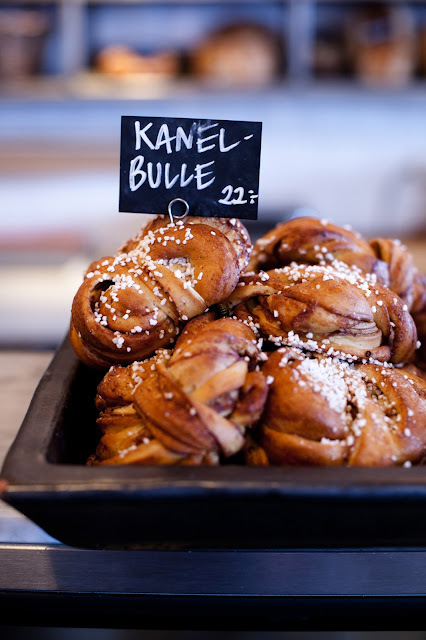 Cinnamon buns basically a long string of pastry dough enfolded into a ball and wedged together with sticky-sweet cinnamon buttery syrup; are an almost every day feature of Swedish life, If you are invited to someone’s home for coffee, you always get a cinnamon bun with it and these buns are even a classic at coffee parties, but they still have a distinct day on 4th October. A relatively new tradition established in 1999 when the staff at Sweden’s Hembakningsrådet (the Home Baking Council) now run by Danish sugar company ‘Dansukker’ were considering a way to rejoice their 40th anniversary. The inkling behind the conception of the day was to revel in Sweden’s home baking customs by emphasizing this much-loved pastry across the country. The autumn harvest is great season for baking in Swedish homes, so it was a perfect time of the year for a merry day with a baking theme. 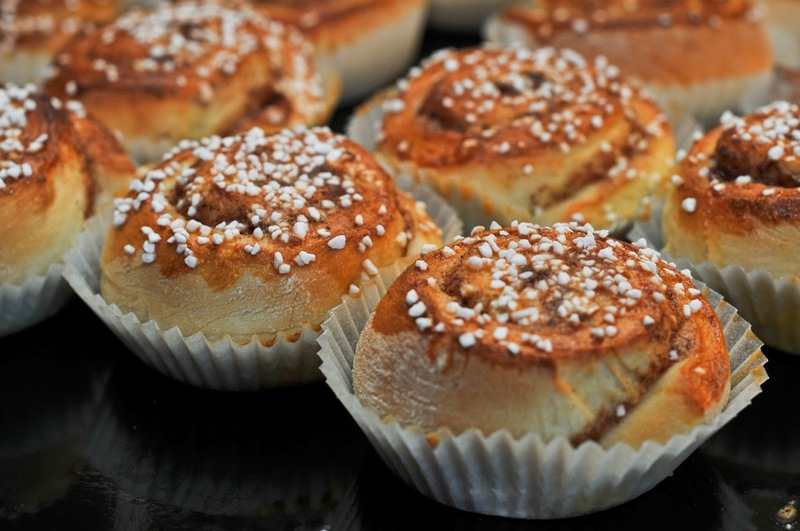 Very much in keeping with Swedish culture, it was well-thought-out that the tradition should be something that everybody can partake in – an objective which has easily been reached: go into any bakery in Sweden today and you will treasure Cinnamon buns in abundance; hence each year on October 4th cafes, restaurants and convenience stores across Sweden sell these spiced Swedish buns. Apparently, the average Swede eats cakes and pastry equivalent to 316 cinnamon buns per year – and that’s not counting the home-baked ones. Disintegrate the yeast in a container and stir in a few tablespoons of milk. Liquefy the butter and decant the milk on it. Add the remaining ingredients and knead the dough in a KitchenAid stand mixer for 10–15 minutes. Let the dough escalate while enclosed at room temperature for 30 minutes. Roll out the dough; about 3 mm (1/8 in) thick and 30 cm (12 in) wide. Spread the room-temperature butter on top. Make a combination of sugar and cinnamon and sprinkle it over the dough. Roll the dough the long way and cut the roll into about 25 slices. Place them with the cut edge upward in paper moulds. Place on a baking sheet and let rise under a towel for until the buns have doubled in size (approx. 60 minutes). Beat together the egg and water, brush the mixture carefully on the buns and sprinkle pearl sugar on top.